I absolutely am so excited that tomorrow is September 1st – the final four months of the year have always been my favorite months and they kick off tomorrow! I love all things Autumn: pumpkins, scarves, bonfires, the changing leaves, the chill in the air, sitting by a fire on a cool evening…y’all, I could go on and on! September brings Autumn, October brings Halloween, November brings Thanksgiving and December brings Christmas. I am so excited that September starts tomorrow and I’m equally excited about a long weekend to kick things off. Sure it’s not “officially” Fall until September 23rd, but in Natalie Land – Autumn arrives tomorrow! Happy “first” Weekend of Fall Y’all! China Rich Girlfriend by Kevin Kwan – The second book in the trilogy; taking place about 2-3 years after the events of Crazy Rich Asians, the story picks up with the much loved characters from Crazy Rich Asians and introduces some new characters to the mix as Rachel Chu learns more about her mysterious father and a family she didn’t know she had. Rich People Problems by Kevin Kwan – The third and final book in the trilogy… let me admit up front that I stopped reading this one after the first portion. *sigh* I’d read reviews that the second and third books in the trilogy were not as entertaining and sadly, I’m finding that to be true. I’m sure I’ll finish it at some point – but for this month, I hit pause on book three. The Drums of Autumn by Diana Gabaldon – The fourth book in the Outlander series, this is what I decided to pick up and re-read before the fourth season of Outlander premieres in November. 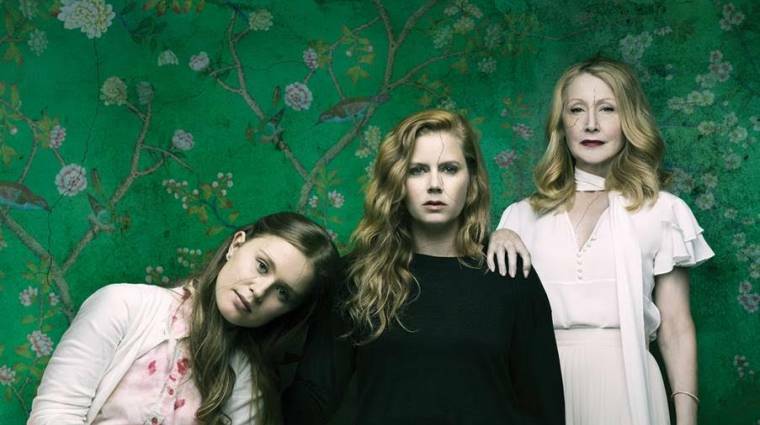 Sharp Objects – This show is excellently cast with actors who turn in really fantastic performances and the story line and pace manages to leave you feeling both slightly depressed but wanting more. It follows the book it was adapted from quite closely but adds in some story elements that give watchers a better portrait of the town of Wind Gap itself…a town steeped in tradition and ritual…that may not always be a good thing. The final episode of the limited series (only 8 episodes) managed to tie things up nicely, even if it did do so in a way that seemed a little bit more hectic than the book. The story’s end offers up not one twist but two and you certainly won’t see the second one coming until the moment it happens – and then the screen cuts to credits. This engrossing series is definitely worth checking out! 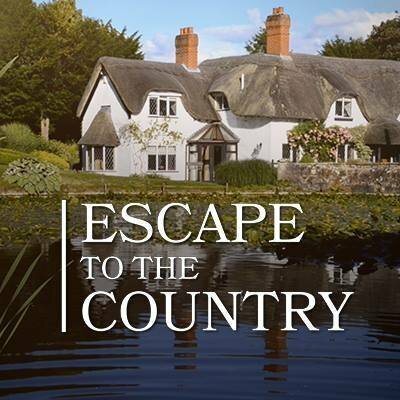 Escape to the Country – Quite possibly my favorite new show! The premise is very House Hunters with a delightfully British spin; families looking for homes in the English countryside are shown three homes, one of which is a “mystery” house and must decide which home is right for them. The show also includes little bits of information here and there about the villages the homes are located in and things that make each location unique. I could not enjoy this show more and I’d move into the house on the picture above – I think it was in Wiltshire? The only down side is that there is only one season (25 episodes) of the show available on Netflix…so I’m trying not to watch them all at once! The Spy Who Dumped Me – I honestly went into this movie with lowered expectations because I’d read some negative reviews but it was action-packed, hilarious and just a fun way to spend two hours! When Audrey’s boyfriend dumps her and is revealed to be a spy, Audrey and her best friend Morgan are pulled into the world of intrigue, mystery and ensuing chaos as they endeavor to deliver a package from LA to Vienna resulting in hi-jinks along the way. I have not laughed this hard in a movie in so long and I’d see this movie again in a heartbeat – and not just because Sam Heughan is in it – although that is certainly a plus! The Guernsey Literary & Potato Peel Pie Society – I had seen bits of brief information about this movie but honestly it just came out of nowhere for me and was so perfectly fantastic! The story follows author Juliet Ashton who makes her way to Guernsey to meet with Dawsey Adams and the other members of the Guernsey Literary and Potato Peel Pie Society; a society formed during the German occupation of the island of Guernsey during WWII. Juliet gets to know the members of the society and forms strong bonds with each member as she uncovers the story of one of the missing members, Elizabeth McKenna. The story is beautiful, touching and layered with so many wonderful moments – this movie is on Netflix and y’all – it just cannot be missed! I promise you will not regret watching this wonderful movie. Crazy Rich Asians – I have been waiting for this movie since earlier this year when a copy of Entertainment Weekly arrived on my doorstep and I realized it was being turned into a movie! This was such a wonderful, funny and just downright enjoyable movie to watch! It reminded me so much of all the wonderful romantic comedies I grew up watching and that today’s movie scene seems to be devoid of… The film is a bit different from the book but I loved them both; as they follow Rachel Chu as she heads to Singapore with her boyfriend Nick Young, only to discover once they arrive that he is the only son of one of Singapore’s wealthiest families. Rachel is thrown into the mix of the crazy rich Asian society and must find her footing – the casting is spot on and the movie is just an absolute delight to experience. I honestly listen to so much classical music throughout the work day – it’s just the best option for me and I really enjoy it. I have a playlist on Pandora called New Age Instrumental Radio and I love it … it’s peaceful and beautiful and I listen to it most often. I’ve also been listening to a lot of the Outlander soundtrack as well. I haven’t stumbled on any new podcasts this month – recommendations are always welcome! 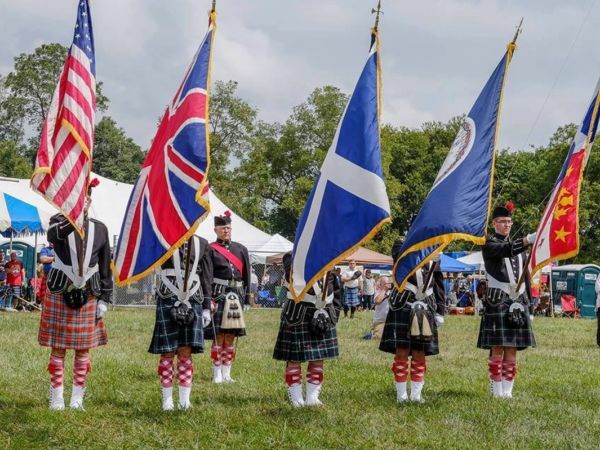 Virginia Scottish Games – This will be the second year in a row we’ve attended the Virginia Scottish Games and I am so excited! The games celebrate all things Scottish with food, music, a clan parade, Scottish dancing, Scottish games, the list goes on and on… and I can’t wait! Nationals Baseball – My Mom and I are attending the game at Nationals Park on Labor Day and I’m looking forward to it! Certainly the season hasn’t been spectacular but I do love watching my Nationals play ball…and you never know what you might see from one game to the next! Paint Night – My ladies Bible study group (I have two, ha-ha) from my community are doing a paint night and I can’t wait! We will be painting an Autumn tree and I do love all things Autumn and I find painting to be so calming and enjoyable. Yahoo for creativity! 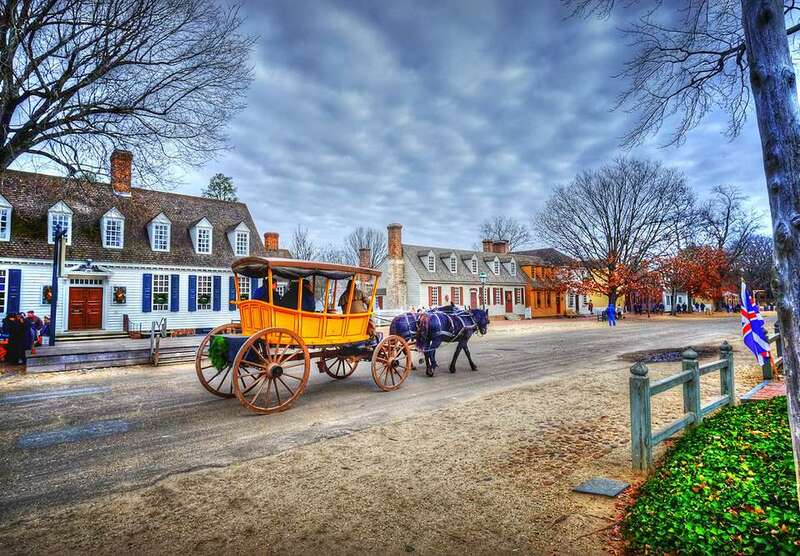 Weekend in Williamsburg – We are spending a weekend in Williamsburg in the latter portion of September and I always love spending time adventuring and exploring…even though I’ve been to Williamsburg multiple times before, there is always something new and different to see! 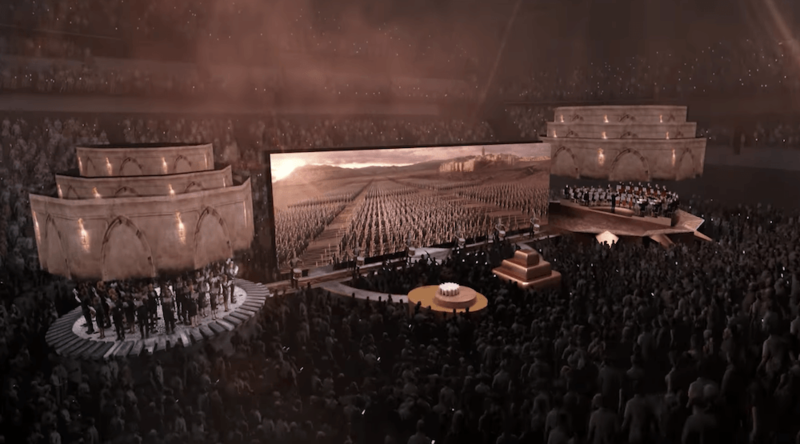 Game of Thrones in Concert – Oh my goodness! I saw this concert in March of 2017 and it was one of the most amazing concert experiences I’ve ever had…so to say I cannot wait to experience it again in late September is an understatement. This year I do believe my Mom (who has never watched an episode of Game of Thrones) will be joining me and I think she’ll still be enchanted – because it is so absolutely excellent! 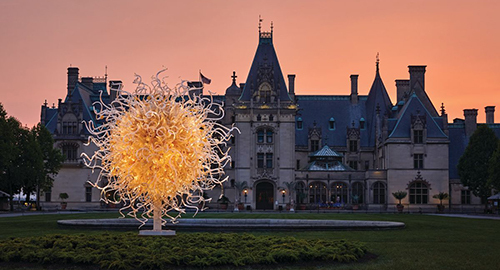 Asheville, North Carolina & Chihuly at Biltmore – The last weekend of September will be spent in Asheville to celebrate my upcoming 34th (yikes!) birthday and while I’m excited about the entire weekend as a whole, I am most looking forward to seeing Biltmore! This will be my second time going to Biltmore but this time the house is showcasing glass sculptures by Chihuly and I cannot wait to see them! So – if you’ve got any dining recommendations for Asheville…hit me up with them in the comments! So many exciting things in the month of September – I can’t wait! 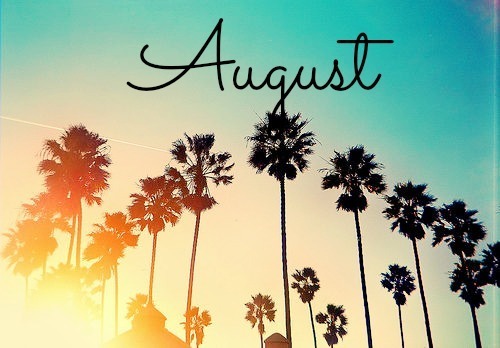 August has been fairly relaxed but I love that as summer is bowing out and Autumn is arriving, my calendar is full of wonderful things to see and do! I cannot wait to get September started! The living room has a new rug… and the new rug has a new fan, ha-ha! I thought I’d share a quick and delicious trifle recipe with y’all today – I whipped this up over the weekend for dinner with some friends and it was a big hit! Prior to making this, I’d perused Pinterest looking for something to make as a dessert and nothing quite jumped out at me – so I finally decided that I’d whip up something of my own creation, inspired by the dessert my Mom and I shared at Hunter’s Head Tavern on Thursday night! Prepare the cheesecake pudding according to package directions and set aside (in the fridge to set up). Clean and cut the strawberries, clean off the raspberries and make sure both are dried off. Layer cubed pound cake, one jar of lemon curd, a mixture of strawberries and raspberries and half of cheesecake pudding. Repeat! Top the two layers of cake, curd, berries and cheesecake pudding with whipped topping and decorate with leftover berries. Refrigerate until time to serve. This is best made the day you plan to serve – you don’t want the trifle to sit for hours on end because you run the risk of your berries beginning to go bad and no one wants that! It can be assembled in whatever way you’d like – this is just the way I chose to assemble my trifle. And you can mix things up…maybe you’d prefer lime curd to lemon? Perhaps you’d rather do vanilla pudding as opposed to cheesecake! It’s really whatever inspires you! Let me know if you decide to try your hand at this easy and delicious trifle – and let me know if you change it up a bit! Enjoy! Well – my weekend was nothing much to write about – I literally have 6 pictures from the weekend and they involve either my pup or food and drink, which sums up most of the weekend quite well. Friday night my family and I got dinner at Outback and then made a shopping stop at Wal-Mart to get some items for Saturday evening’s dinner guests. The rest of the evening was passed doing very little – my Mom and I made our way through some episodes of Outlander and lest I forget, we discovered a new favorite show on Netflix – Escape to the Country! The show is essentially House Hunters but takes place in the UK and features families moving to the English countryside and every single thing about it is insanely delightful and if I could, I’d crawl through the TV screen. The views are astonishingly beautiful, the Brits on the show are delightfully endearing and the cottages and homes on the show are so perfectly quaint and charming. *sigh* I love it so much! Saturday morning, Watson made a little trip to the vet for some vaccinations and a check-up and he got the clean bill of health – the little guy weighs 17.5 pounds, has nice muscles, clear eyes and ears and a ticker that is steady and stable! I put together a Berry Lemon Trifle for dessert for our dinner with friends on Saturday night and we all dined outside because the weather this weekend was absolutely lovely! Sunday morning – well this is where the whole “paved with good intentions” comes in because we had plans to go out for lunch after church and pop into a couple stores but I woke up with a headache but soldiered on. Throughout the sermon, my head pounded more intensely and by the time we’d made our way to the restaurant parking lot…I was afraid I was going to be ill. We went home and I spent a large chunk of the gorgeous afternoon lying on my couch and waiting for the headache to pass. Around 4:00 I finally began feeling okay again and later in the evening we went out for dinner and made a quick Target run. The evening was rounded out with my traditional Sunday evening bubble bath and another episode of Escape to the Country! The weekend was very relaxed and didn’t necessarily go as planned – but it was a nice weekend none the less. One. Perfectly Posh Goodness – Perfectly Posh is having a free shipping weekend on all orders of $25 or more! The best part is that Perfectly Posh is also still doing the Posh the People promotion: create a Posh account, order $25 in product and choose a full size product for FREE! That means for this weekend only, you can get free shipping and a free full size product for just $25 – so why not check it out? Two. Puppy Snuggles – My sweet puppy Watson has been extra cuddly lately and I absolutely love it. Watson has always been very independent and isn’t very cuddly, preferring some pets and then being allowed to go on his way to stretch out in the sunshine and do his own thing. I do think that his recent desire for cuddles has something to do with his getting older. He’ll be eleven next Spring and while most of the time he doesn’t seem to be slowing down, he has gotten much more snuggly in the past few months. I hate to think about him getting older, but I suppose if he must age – at least he feels more like being loved on! Three. Hash Brown Chicken Casserole – Another Pinterest recipe that was not a fail! I’ve been looking for a good chicken style casserole and this one turns out to be chicken pot pie style – with delicious corn and carrots, white meat chicken and a flavorful sauce! So yummy and easy to put together! Heat the oven to 400 degrees. Place the frozen potatoes in the bottom of a lightly greased 9×13 pan. In a large bowl, mix well all the remaining ingredients (except bread crumbs). Pour over the potatoes and spread evenly. Sprinkle with bread crumbs to your liking and cook for 1 hour or until top is golden brown. Enjoy! Four. 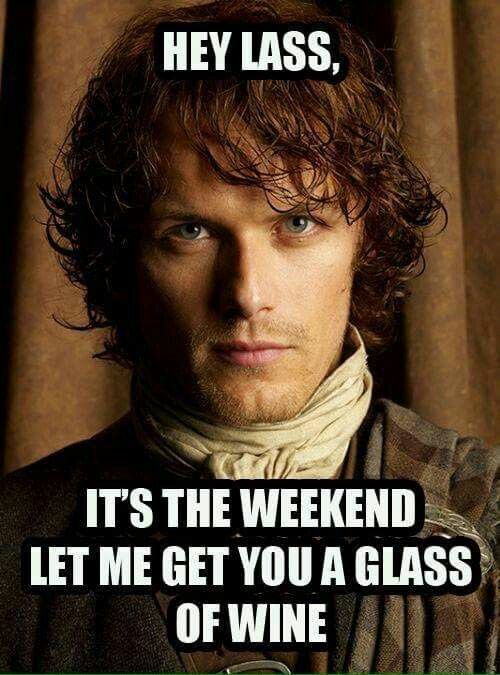 Weekend Plans – Well, for this weekend there really isn’t too much on the agenda! My sweet pup has a date with the vet on Saturday morning and some family friends are coming for dinner on Saturday night (I’ve been tasked with dessert) but otherwise, not too much on the calendar! The weather is supposed to be gorgeous and a bit cooler (in the 70’s) and so perhaps I’ll spend some time outdoors with Watson. Who knows? What I do know is that Autumn is right around the corner and my calendar is already filling up with wonderful things to do – I can’t wait! Five. Farewell to Murphy – What a week it has been where my beloved Nationals are concerned. 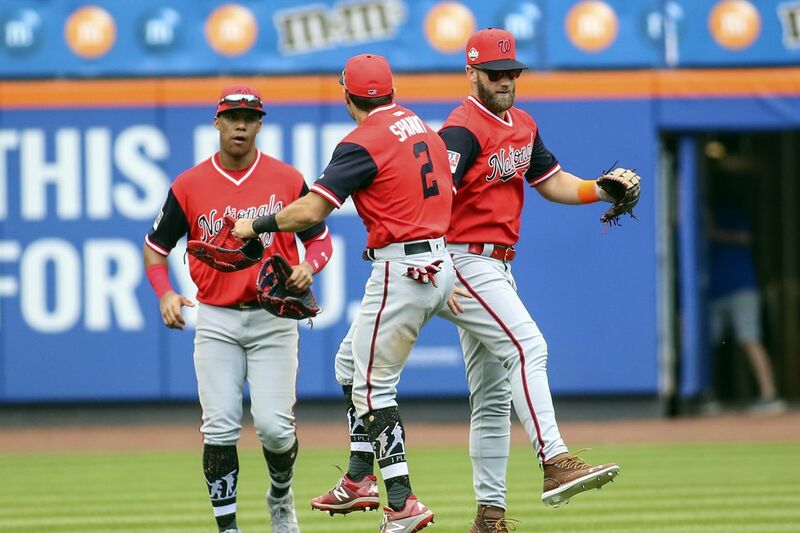 Tuesday afternoon I sat at my desk and was utterly stunned to see that six of our players had been put on waivers and both Matt Adams and Daniel Murphy had been claimed by other teams. This announcement was followed up with a press conference where it was confirmed that Daniel Murphy had been traded to the Chicago Cubs for a minor league player and cash considerations! Not only was he traded away, but it seems like he was traded away for peanuts – blegh. I’m just glad that I got to see Daniel play on Saturday night! My heart still hurts a little bit thinking about Murphy playing for another team…and it really hurt to see his name on the Cubs line-up last night. You know what will really sting? When the Cubs come to DC the first week of September and have OUR player! *sigh* All this to say – you will be sorely missed Murph! I hope everyone has a wonderful weekend and enjoys the final weekends of summer! I decided to do a little “way back Wednesday” for Watson today. My Time Hop continues to pop up some really great pictures of Watson and so I couldn’t resist sharing just a couple. The little guy has always loved being able to stretch out comfortably – whether it be in the sunshine, sprawled across the grass…or on the comforts of the couch, like the little human he thinks he is, ha-ha! He takes that sprawling and relaxation a bit further when he settles in to watch a movie, making sure his pillow is expertly arranged and he has optimal viewing. Such a funny little guy – loving his creature comforts, no matter the time.